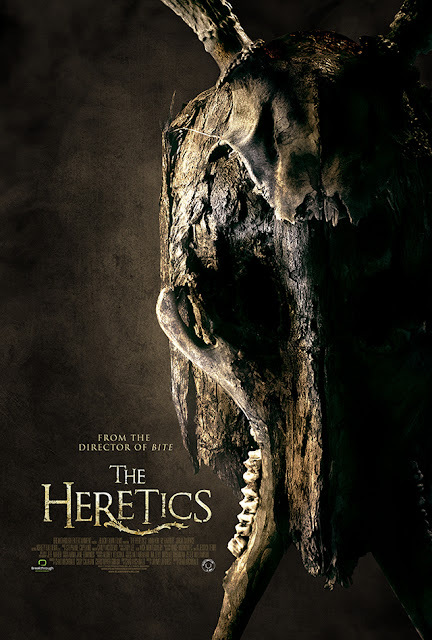 Check out the details and the trailer for The Heretics. From Black Fawn Films and Breakthrough Entertainment, the team that brought you the smash indie hits, Bite, Let Her Out, Bed of the Deadand Antisocial, brings what Howard Gorman at Scream Magazine calls "Brutally unpredictable bombshells and harrowing chills aplenty” - THE HERETICS. The Heretics also graces the June 2017 issue of Scream Magazine with a full front cover feature and extensive interview with Black Fawn Films inside. The official trailer for The Heretics is here; starring Nina Kiri (TV’s The Handmaid’s Tale, Let Her Out), Ry Barrett (The Drownsman, Neverlost, The Demolisher) and with a breakout performance from Australian new comer Jorja Cadence. The Heretics was produced by Cody Calahan, Chad Archibald and Christopher Giroux with cinematography by “Bed of the Dead” director Jeff Maher.